This page will carry details of campaigns in the Hayes & Harlington constituency, including Heathrow Villages and West Drayton. I am particularly active in the Charville ward, where I lived for some time and where I have stood in Council elections. Regular visitors to the site may remember the residents of Hoppner Road, Romney Road and Raeburn Road approaching me about issues of flytipping in the garages at the back of their estates a couple of years ago. Along with members of the local UKIP branch, I knocked on doors and raised petitions firstly to clear up the flytipping and then to secure the area around the garages and green areas to ensure a safe and pleasant environment for the residents. After meeting with a council officer and contractor on site, things had gone quiet for a while but an email was received today to inform me that a survey is going out to residents about proposed changes to the area including bollards and fencing to sort the problem once and for all. I have reproduced the information below and would encourage all residents to engage to make sure that the best solution is found to sort this issue once and for all. 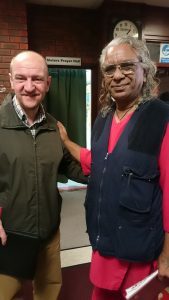 Credit must also be given to new Charville Councillor Nicola Brightman who has discussed this at length with me and has been working behind the scenes to ensure that action is taken – a welcome change from previous Labour Councillor John Oswell who sent me a dismissive email telling me to keep my nose out. We are writing to update you on how we intend to respond to your petition seeking a resolution to the fly-tipping issues in the alleys and open spaces to the rear of 11-49 Romney Road & 2-52 Hoppner Road, and also 10-52 Romney Road & 1-87 Raeburn Road. Attached are the letters and plans that we will be sending out from Monday and we would welcome feedback from residents on this. If agreed, we hope that these new measures will deter future fly-tipping in these areas. If you would like to discuss anything further, please do not hesitate to contact me. We are writing with reference to a proposal to install a drop down lockable bollard in the alley between 27-29 Romney Road leading up to the open space, as per location plan enclosed. 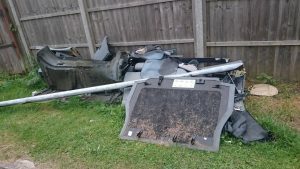 The purpose is to secure these areas to prevent unauthorised access and deter fly-tipping. For your information, a gate cannot be placed between 27-29 Romney Road as this is a public right of way highways access. The confines of the rear area mean that any gate / railing combination would make it very difficult for residents to manoeuvre their own vehicles. This is why a bollard is proposed which can be unlocked and dropped down for residents’ vehicular access only. Once agreed, the works would be carried out by an approved contractor later in the year. All households would be provided with a key for the bollard. All residents will be responsible for the key and its usage, and shall ensure the bollard is upright and locked after each use. We would greatly appreciate any comments you may have with regard to this proposal and have enclosed a form and pre-paid envelope for your use. A reply is requested by 14thSeptember 2018. If you require any further information, please do not hesitate to contact me on 01895 558136. If no response is received by end of business on 14th September 2018, it will be assumed that you are happy for the scheme to go ahead. 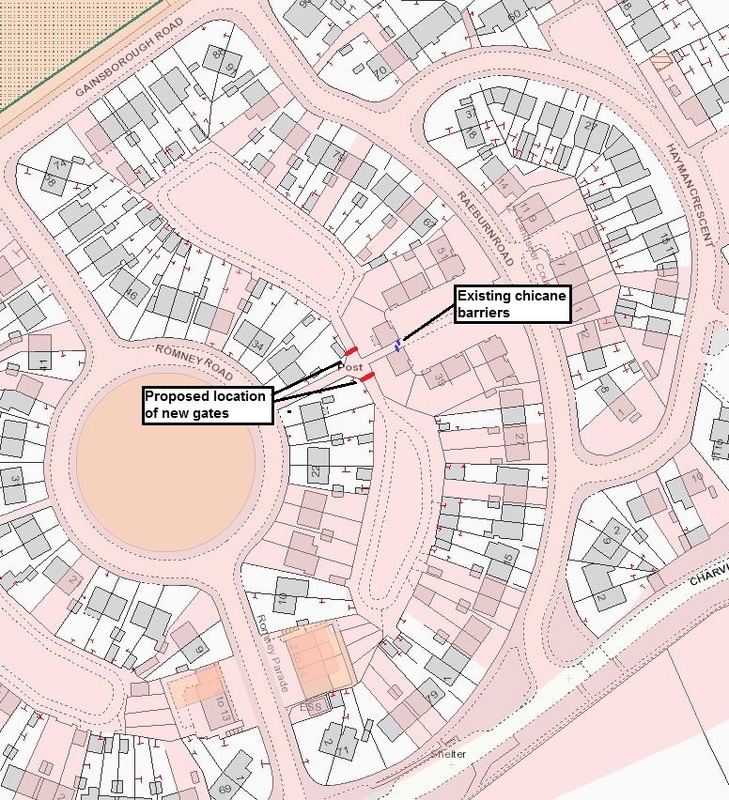 We are writing with reference to a proposal to install a gating scheme in the above area, as per enclosed location plan. 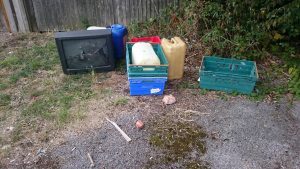 The purpose is to secure these areas to prevent unauthorised access and deter fly-tipping. For your information, a gate cannot be placed between 28-30 Romney Road as this is a public right of way highways access. This is why the gates are proposed to be placed either side of this highways path at the start of the rear access areas. Once agreed, the works would be carried out by an approved contractor later in the year. All households would be provided with a key for the gate. All residents will be responsible for the key and its usage, and shall ensure the gate is locked after each use. It was also refreshing to see the attitude of the newly elected local councillors to this report which they were copied in to – Cllr Brightman responded within 24 hours thanking me for the information and advising that it is now on her list of works to check on during her next rounds. What a change from the now departed Cllr Oswell who told me to ‘keep my nose out’ when reporting issues during the last administration! Following the intelligent intervention action taken by officers, I would be grateful if you could please update me in relation to the implementation stage of this petition. In particular, please can you confirm if the repair works for the carriageway have now completed. Thank you. I can confirm that carriageway repairs have now been completed. Thank you for your response. Please may I also have an update on where we are with the resurfacing element of this petition? Both Goshawk Gardens and Adelphi Crescent are on the list for consideration, to be included in a future programme subject to funding. A number of instances of damaged and sub standard housing have been reported to me by residents in the Townfield ward of Hayes. Some of these residences were supposedly upgraded a few years ago but those repairs appear to have either failed or made the situation worse and in the wake of the Grenfell Tower disaster it should be a priority for Hillingdon Council to make sure that high rise buildings in the area are both safe and secure. I am writing in response to your request for information below. Can you please advise if Hillingdon Council have ever bid for funding from the GLA Decent Homes Programme fund? No. I can advise that the London Borough of Hillingdon completed all its decent homes programme and did not need to apply to the GLA Fund. With site surveys finding that insulation on certain properties is sub standard and that some windows that have been fitted may not be totally safe, I find the council’s reluctance to apply for funding that is available to them staggering. Having liaised with colleagues in Residents Services, I understand that the proposal for a fencing and gating scheme for Hoppner Road has been agreed in principle and that financial approval is now being sought and consultation for the proposed works will be carried out with the residents. As officers have addressed the issues that you have raised, unless I hear from you by 26 October 2017, no further action will be taken by Democratic Services in relation to your petition. With local council elections next year, I feel sure that the councillors representing the Charville Ward will want to get on board and make sure that this initiative is followed through on with the funding it deserves – after all, the council spend over £100k each year on their ‘Hillingdon people’ self promotion magazine and over £80k last year on the pretty flower baskets that now adorn the visible routes through the area. I refer to your petition dated 6 August 2016 regarding the carriageway condition in Goshawk Gardens and Adelphi Crescent, Hayes, and wish to thank you for bringing your concerns to our attention. 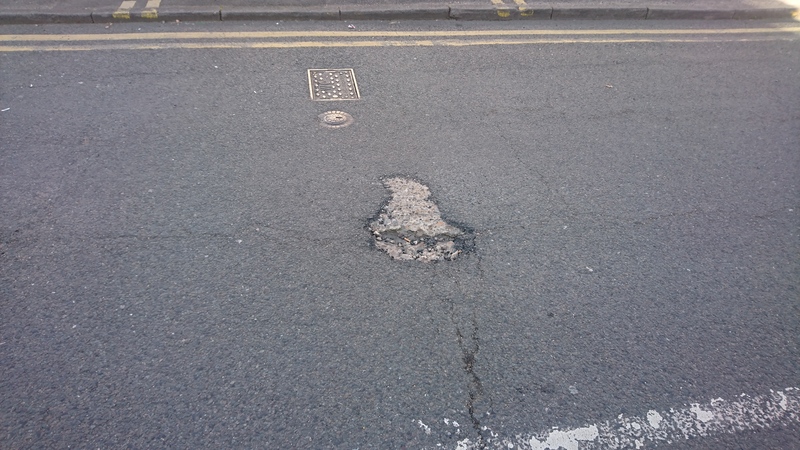 In Hillingdon, and in common with other highway authorities in the UK, there is a substantial waiting list of roads, particularly residential and local roads, in need of major resurfacing. Unfortunately, this list greatly exceeds the amount of funding usually available, which means that we have to prioritise accordingly. Roads for inclusion on the Council’s carriageway resurfacing programmes are usually identified from two sources. 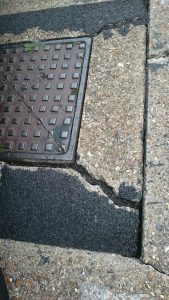 Firstly, each year the Council carries out visual surveys on all roads to establish their structural condition, in accordance with the national standard, the UKPMS [United Kingdom Pavement Management System]. The results are used to calculate Best Value Performance Indicators and also produce priority lists from which roads for treatment are selected. Secondly, officers maintain a separate list that is based on the condition of the surface of the road. These normally do not appear on the list for structural condition that measures such defects as fine cracks, unevenness etc., but on defects such as potholes and the wear and loss of surface material. 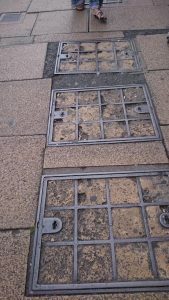 These defects are more visually apparent and are usually identified from the results of highways inspectors routine safety inspections or from service requests or defect reports from ward councillors or members of the public. From the two lists, officers prepare their recommendations for inclusion in highways maintenance capital programmes based on the amount of funding available. Surfacing these roads will achieve two objectives, firstly to improve performance indicators and secondly to reduce on-going maintenance costs such as patching. Roads that do not make the recommended list are placed on a reserve list for consideration in future programmes, as and when funding is made available. I confirm that both Goshawk Gardens and Adelphi Crescent are on the list for consideration of roads requiring treatment for inclusion in a future programme of works, the timing of which will be subject to available funding and other priorities. In the meantime, officers will identify the concrete slabs that are broken and issue works orders for the repairs and will continue to monitor the carriageway condition and carry out isolated repairs as and when major defects are identified as a result of routine safety inspections, or reported to us by the Council’s Contact Centre. Once again, the tippers have been dropping in front of the ‘no dumping’ sign in Chesil Way. 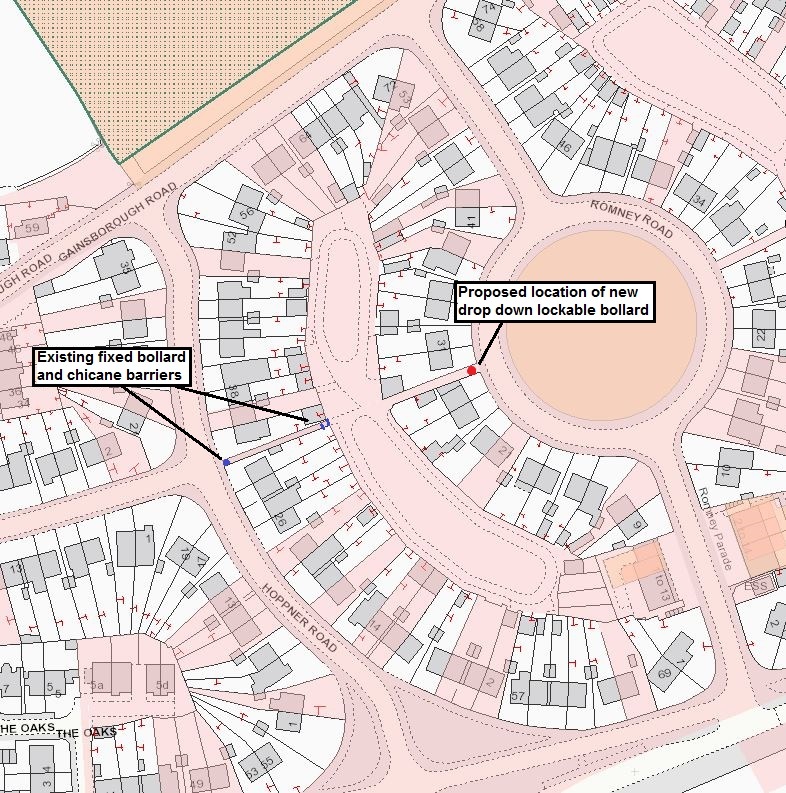 Chesil Way is a part of the Kingshill Avenue Public Spaces Protection Order (PSPO) and as such the local Police are aware of anti social issues in the vicinity. Hopefully, with the recent announcement of additional officers for the borough we will see extra patrols that will deter this. The Charville Lane estate has also seen instances of dumping, this time in the garage and green area on alleyway H3 between Romney Road and Raeburn Road. Thankfully, the other alleyway (H2) seems to be fairly clear after the last clean up that we arranged. Our thanks as always to the Council Maintenance team for their prompt response. The cascade flower box on Kingshill Avenue that was vandalised on our last rounds has now been repaired with the top two tiers replaced and re-planted. Hopefully, it will stay that way and not cost more time and taxpayers money to maintain. We have had a reply regarding the traffic calming petition for Langdale Drive which is reproduced below. It would appear that traffic approaching from Charville Lane is running at an excessive speed and whilst the Council claim that speeds are appropriate on Langdale Drive itself it does not take in to account the two bends which will obviously affect the average speed. We will be following up….. Thank you very much for your petition to the Council concerning vehicle speeds in Langdale Drive, Hayes. The independent 24 hour / 7 day speed survey has been completed at five locations. Three on Langdale Drive, one on Lanbsury Drive and one on Charville Lane. Please find attached the location plan. The data has been analysed and the results have been discussed with the Cabinet Member for Planning, Transportation and Recycling. The results show the majority of vehicles were travelling between 20 and 30 mph. The 85%ile speeds in Langdale Drive are below 30mph. The following charts show the 85%ile speeds for the five locations. The 85th percentile speed is the speed at or below 85% of all vehicles are observed to travel. This is a nationally recognised method of assessing traffic speeds as it effectively refers to the majority of traffic movements. At present, the speed results show drivers are driving at an appropriate speed for the road. These results unfortunately do not give the Council sufficient evidence to justify further investigations into physical traffic calming measures in Langdale Drive at this time. We have been contacted by a number of residents who have received parking tickets whilst dropping off at our local train station. The branch raised this with UKIP London Assembly member David Kurten (Pictured above – left )who sits on the Transport Committee – he subsequently contacted the Mayor’s Office. There have been reports of many motorists being charged PCNs in Station Approach at Hayes and Harlington station for simply dropping people off or picking people up outside the station. Apparently the road is private, but motorists have no reason to believe this or consider this as it looks like a normal road, but are told after they receive a PCN that they should know as there is a sign by the station stating as such. What will the Mayor do to ensure that motorists do not continue to be stung by what they may justifiably consider to be a ‘shakedown’? As you know, Station Approach in Hayes does not form part of Transport for London’s Road Network. Therefore, I can confirm no Penalty Charge Notices have been issued to members of the public by either TfL or the MPS on that road. However, I have asked TfL to raise your concerns directly with Great Western who manage the station and the surrounding area. My name is Guru G Singh , I am 71 .
that are going through a rough time in FOOD POVERTY . This situation is getting worse where children are suffering due to food poverty . I invite you to join us on 26 October at Orchard Practice , Station Road , Hayes for the launch of our 60 PLUS Winter project and distribution of packs of Hats , gloves, socks and other items to Old Age Pensioners , the blind and disabled . poor members of the community . I was pleasantly surprised on my most recent walk around Charville Ward in Hayes End to see communication from one of our local ward councillors on the doormats of the residents. This is the first time I have seen this outside of election times – obviously the Conservative polls are telling them that they might have a problem from UKIP at the next local elections as we are visible and helping people! The leaflet trumpets that the Council are spending £1.7 million installing cameras outside schools to keep yellow lines clear. 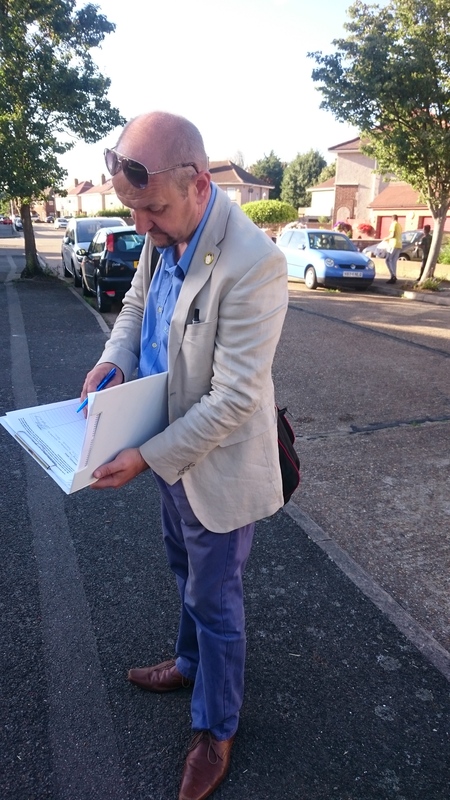 We are all for anything that improves safety for schoolchildren but if they are so worried then why have they rejected out of hand residents petitions for traffic calming near the school in Swan Road in West Drayton? Indeed, in Charville ward where these leaflets were put out we are still waiting to hear about the traffic calming petition heard in January for Langdale Drive, although we recently thanked them for putting up a camera there under the scheme – it would appear it is for yellow lines and not speeding cars though, hence their reticence in engagement. The more sceptical might conclude that they are more interested in traffic fines than slowing the traffic down. Council leader Ray Puddifoot, commenting on the sale of green belt land at Home Farm, stated ” One of the reasons I became a councillor was to fight the then Labour Administrations policy of building on green land – those days will not return”. Really? Under his stewardship, we have lost green belt land at Lake Farm where his administration decided to build a school on the country park when many brownfield sites were available. A report from the Department for Communities and Local Government stated that between 2013 and 2015 up to 40% of all new homes in Hillingdon were built on green belt land, the third worst council in the country for doing so. The leaflet trumpeted the resurfacing of ‘Bury Avenue Road’ – sorry Cllr Puddifoot, it is Bury Avenue which we had flagged up two years ago. Thanks for doing the job but at least be informed enough to get the name right! We were also informed that Portland Road and Meadow View Road would be next. Whilst we welcome these works (UKIP Hillingdon flagged Meadow View Road last year and were promised action on works reference 4531347) there are through roads with much worse surfaces that need to be done first. 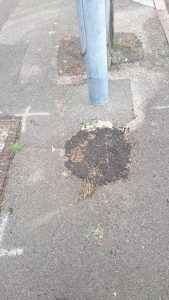 The image above shows damage on the junction of Adelphi Way and Adelphi Crescent – we initiated contact with the council over the poor state of the road there last year and followed up with a petition from residents two months ago which we have still not heard about. Buses use Goshawk Gardens and Adelphi Crescent which are a major through route with the roads being in such a bad state the vibration is causing major damage to homes in the area. The leaflet made a big point about the new flower arrangements on Kingshill Avenue. We had already voiced our concerns in previous articles about how well these could be maintained in light of the cuts to maintenance service teams but even we were not prepared for what has happened since. This is a photo taken yesterday of the pot in the picture on the Conservative leaflet. The top section has been stolen and the remainder of the arrangement is in a sorry state – the second tower is intact but the flowers are not properly maintained. A freedom of information request has revealed that the council spent £1150 relocating these cascade planters from Hayes Town (which is currently under redevelopment) and a grand total of £80,869.39 for displays around the borough – some of which are mounted in central reservations on major roads and are a visual impediment to drivers. Meanwhile, many verges remain overgrown as do open green spaces. Surely it would make more sense to keep our green spaces maintained properly rather than spending vast amounts of your cash on show projects whilst the basics go to rack and ruin? The branch were contacted after one of our recent leaflet runs by a retired gentleman who had his carbon monoxide alarm removed by council workers for maintenance. When he chased it up, he was informed that due to cuts it would not be returned. UKIP Hillingdon sent emails to Cllr Ray Puddifoot (Listed as the older persons champion) and Cllr Peter Davis (West Drayton & Yiewsley Senior Citizens Association) to chase this up without response. We then contacted Age UK for advice to be told that this is now commonplace and to get in touch with our local Fire Service for advice. They told us that they deal with smoke alarms but not carbon monoxide devices and suggested that the gentleman buy another. We have now ordered a new device from our branch funds and will be presenting this to Mr Ashford at the end of the week. When the council spend £80k on flowers and over £100k on their propaganda magazines but can’t spend £20 on a device that could save an older persons life then you know that they have their priorities all wrong – a real case of style over substance. Our team visited The Wise Lane Estate last weekend, delivering our new newspapers and talking with residents. 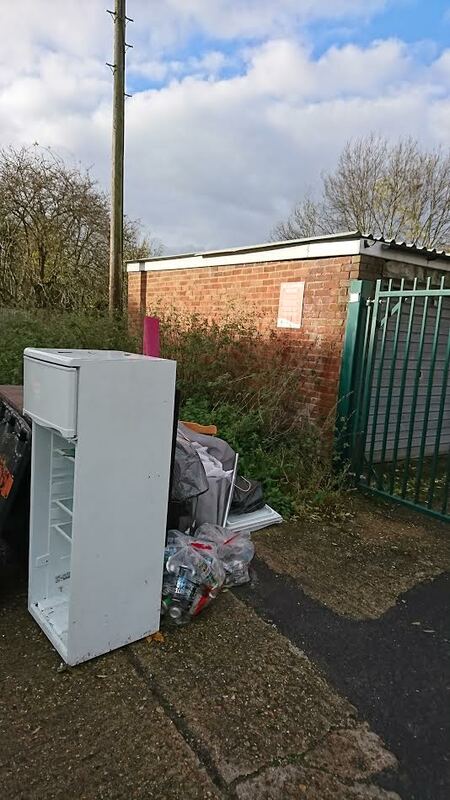 The flytipping that we reported on our last run round seems to have been cleared but more has appeared at the top of The Brambles and on Harlington Road, including the fridge in the picture left. This has been reported to the Council maintenance team who have promised a further clear up on ref 5389042. This is not the first time we have seen rubbish dumped next to ‘no dumping’ signs in the area – perhaps the cuts to Police Community Support Officers who monitor such blackspots have emboldened the tippers? Our thanks to the maintenance team for their swift response. 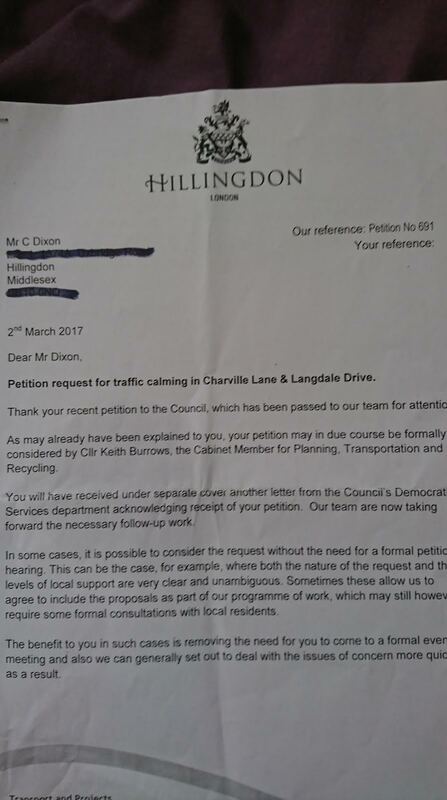 In the previous update, I mentioned that we had not received a reply from Hillingdon Council regarding the traffic calming petition that was submitted to the Council and heard back on 20th January. 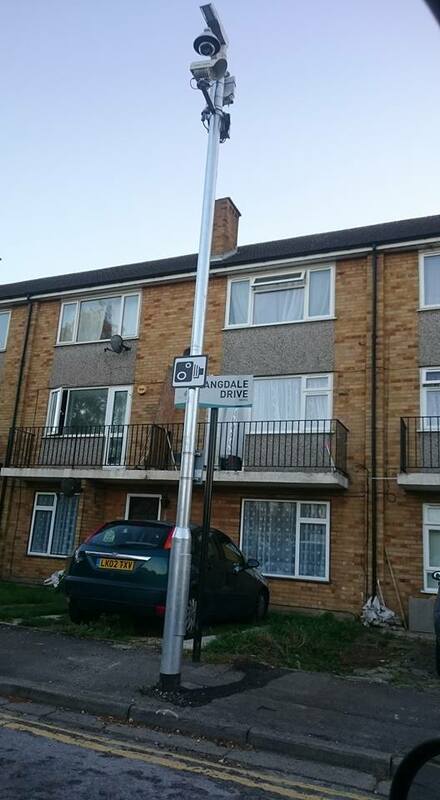 Whilst out doing my ward rounds yesterday, a new camera appears to have been fitted on one of the speeding hotspots in Langdale Drive that was mentioned at the hearing. Thank you to the Council for listening – next time, please let us know what action you have taken so we can spread the good news! Over the last few weeks I have been out delivering our new newspapers and checking up on issues our team reported to the council on the ground. The branch assisted local residents with a petition that got the rubbish around the garages between Hoppner and Romney Roads cleared up. Since then, I have revisited and had a second clear up done but yet again the flytippers were back when I visited at the weekend. I have reported this for a further clear up and also alerted the local Police Safer Neighbourhood Team to the issue. A petition was submitted earlier this year for traffic calming in Langdale Drive and a road survey was promised by Cabinet Member for highways Cllr Keith Burrows. I have had confirmation that the survey was carried out but worryingly it was done during the school holidays when traffic would have been light. I have emailed Cllr Burrows for an update but have yet to hear back. Disturbingly, the road repairs that were promised over a year ago have not yet been carried out and a reliable source has informed me that only two roads in Charville are scheduled for attention at the present time with no timescale for those repairs – Portland Road and Meadow View Road. Whilst we applaud any repairs that are done, neither is a major thoroughfare or in as poor a condition as Langdale Drive. 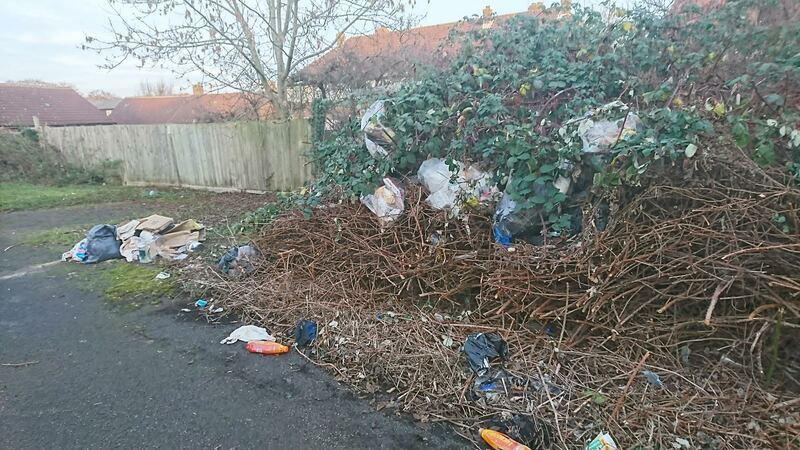 We will be chasing this up with both the Council and the local Councillors as it is clearly unacceptable. In our last report we advised of the petition being raised for resurfacing of these roads. There was also an extremely dangerous manhole cover in Goshawk Gardens that was in danger of falling apart. The maintenance team have carried out repair to the manhole to make it more secure (Pictured above) and we are awaiting response to the resurfacing petition from the Council. In our last report we pointed out the new flower boxes that have been installed in place of the bench and posed the question as to whether these would be properly maintained bearing in mind the cut backs to maintenance teams. There was also evidence of continued drug taking despite the imposition of a PSPO (Public Spaces Dispersal Order) by the local Police. I have emailed Inspector Andy Lewis about this to alert the Safer Neighbourhoods Team to the ongoing problem. 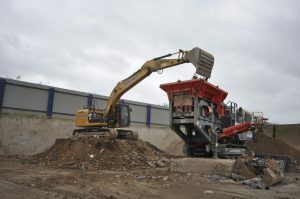 Regular visitors to this site will be aware of the ongoing issue in Yiewsley and West Drayton regarding Powerday looking to expand their waste processing plant at The Old Coal Yard. Residents Associations and local Labour Councillor Jan Sweeting have submitted petitions and organised demonstrations to protest against the possibility with UKIP Hillingdon in full agreement and helping out with the campaign. I am writing in response to your recent request. Can you inform me which contracts Hillingdon Council has had with Powerday plc from 2010. Please also quantify the annual amounts paid to Powerday from 2010. Hillingdon Council has had one contract with Powerday PLC from March 2013 to March 2016. If you have any queries regarding this matter please do not hesitate to contact me. 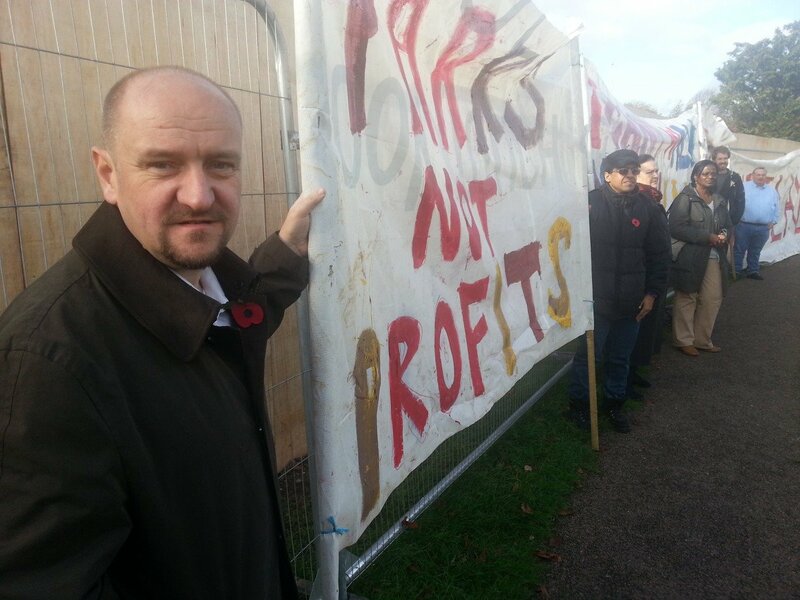 “Powerday has been operating in West Drayton for over 6 years without planning permission. Despite receiving thousands of complaints from residents, the Council all this time has been paying millions of pounds to Powerday for bringing their waste to West Drayton. This demonstrates how the Council could be perceived to be operating against the interests of residents and questions need to be asked over the award of contracts to Powerday who had no planning permission to be in West Drayton. I call upon all residents of Hillingdon to hold their Councillors to account during the next local elections, particularly the Leader of the Council who, after all, holds the final responsibility in matters such as this”. With the works underway in Hayes Town to re-open the pedestrian area, the branch was contacted by a local interfaith worker regarding some of the serious issues with pavements that appear to be outside the boundary of the work. 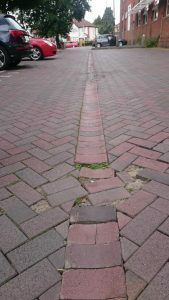 With the Hayes Town regeneration project underway, I was asked by local residents to have a look at some of the paving issues that are outside the boundary of the current work being undertaken. I have attached photos here of some of the dangerous paving that could be dealt with whilst the main groundwork is going on. I apologise for the long delay in responding to your query, this was passed to our Town Improvements Team and their feedback is below. If we can be of further assistance, please do not hesitate to contact us. We will be keeping an eye on the work and reporting back to the maintenance team if these areas are outside the boundary and need to be repaired afterwards. With the media whipping up a frenzy about alleged rifts in UKIP (they have advertising space/newspapers to sell after all), it is business as usual here in Hillingdon. 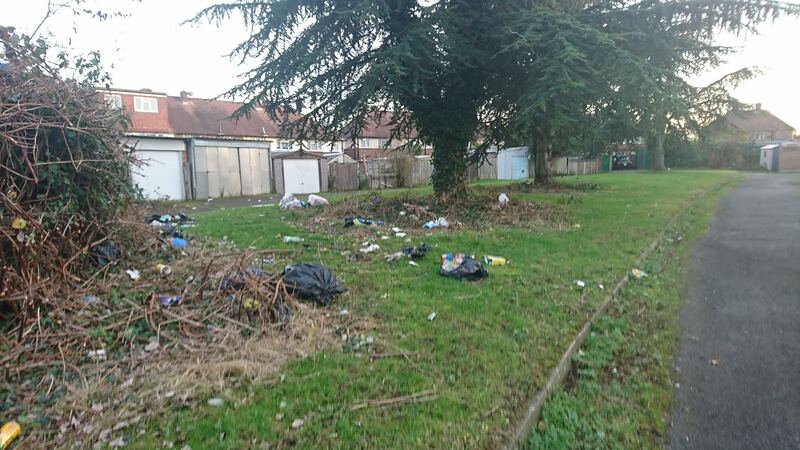 Residents have again been getting in touch with issues in the area and to this end our teams have been out following up on the streets and trying to improve the local environment. 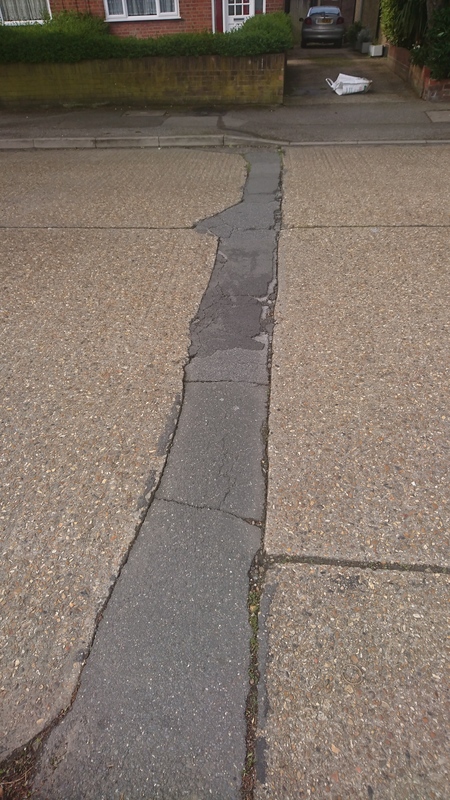 Last September, our ward rep contacted Hillingdon council about the poor state of the road surface in Goshawk Gardens and Adelphi Crescent, Hayes. The slabs are breaking apart and moving, with the problem exacerbated by the buses that now use the roads – indeed, when buses travel across the slabs the movement can be felt quite violently by anybody standing nearby. This has led to structural damage on a number of houses with plaster cracking and falling off and residents complaining of vibration throughout their houses. As the road deteriorates, surface noise also increases and many tales of late night disturbance have been relayed. The Council maintenance team replied in February that a repair had been booked (Ref 4601969/4601978) but no timescale was given. When followed up and the point pressed that a resurface rather than a repair was needed, the maintenance team confirmed that it would only be a repair and no timescale was given. 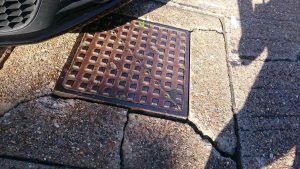 One resident drew our attention to a manhole cover in Goshawk Gardens that is now structurally unsound with loud noise generated whenever a vehicle passes over it. 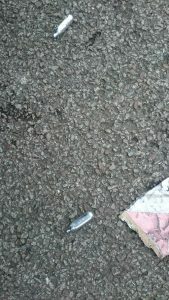 Further inspection showed the road surface cracked and moving when slight foot pressure was exerted on it (picture above). This has been reported to the Council this morning via email as a matter of urgency with the Charville ward Councillors copied in. 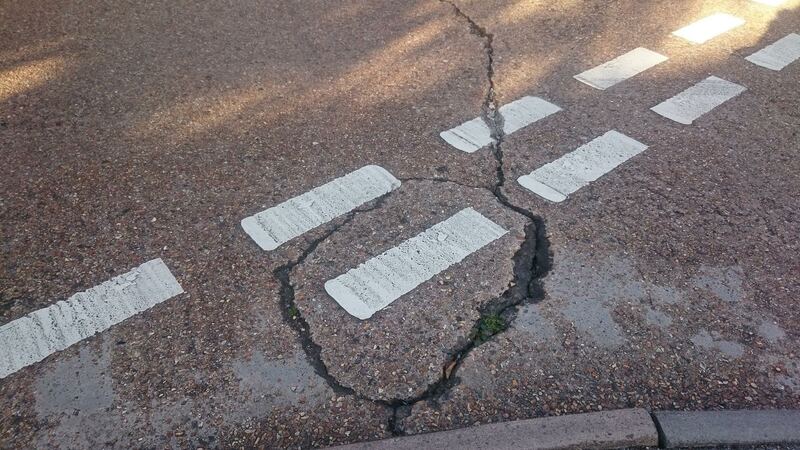 The slabs where Adelphi Crescent meets with Adelphi Way are in particularly poor condition with visible movement of the surface as vehicles pass over them – some residents told us of plaster dust falling from their window frames due to the excessive vibration! The petition is being submitted this week and we will keep residents updated with developments. 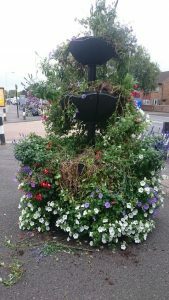 Many flower baskets are turning up around the borough and adding a touch of colour to our streets. In Kingshill Avenue, the bench that was recently installed on the parade and was a magnet for antisocial behaviour has now been removed and replaced with a multi level flower box. Whilst this greening of Hayes is welcome, I am concerned that with the cuts to the maintenance teams these boxes may struggle to be maintained. The Kingshill Avenue box already had signs of damage when our team was out at the weekend and some of the flowers seemed to be wilting in the heat. Hillingdon council seem to be popping these boxes in willy nilly around the borough whilst cuts are being made to essential services – many grass verges seem to be badly overgrown and unkempt whilst they make these grand marquee gestures with your money. 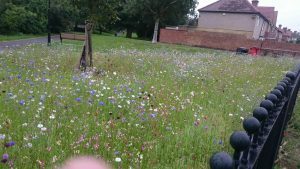 However, one initiative that I believe they do need a pat on the back for are the areas in our parks where wild flowers have been sown amongst sections where the grass has been allowed to grow longer to provide an environment for bees and other wildlife (Knights Gardens pictured above). This is a very low cost way to create a splash of colour with little maintenance and is very environmentally friendly at the same time. Well done to the Parks Team who have pioneered this initiative. Just when we had all thought that we may have a few month’s respite from the fight against Powerday’s plans for the Old Coal Yard site Yiewsley/West Drayton we have been advised that the company has submitted an application to the Environment Agency for a change to their current operating licence for the yard. The company’s present licence allows it to deal with waste from the ‘Golden Weekend’ Civic Amenity site activities and on the back of this licence it has allowed the company to bring other waste onto the site which is then transferred to other Powerday vehicles. However, the licence they wish to be granted by the Environment Agency would allow the company to undertake all kinds of waste recycling operations which would be associated with the site if planning permission was granted. 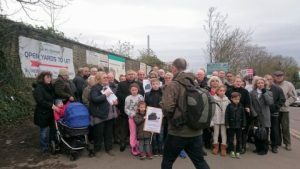 As the new licence would indeed bring the company closer to its aim of developing the Coal Yard site for industrial waste recycling and due to the significant concerns over Powerday’s proposals for the Coal Yard site expressed by local residents and others, the Environment Agency is conducting a consultation on the details of the new licence. I would therefore ask you to contact the Environment Agency to express your concerns. These should focus solely on Health and Safety and Environmental concerns. These could include issues relating to noise, dust, smells and proximity to residential amenity. In addition the fact that the site is elevated so making it more likely that all of these hazards will affect more people could also be mentioned. Unfortunately issues relating to traffic are not the concerns of the Environment Agency and will not be considered as relevant. Those living close by the Coal Yard could comment on the way in which they are already being disturbed by the relatively small scale activities currently being undertaken by Powerday. Please be assured that the Committee of the Garden City Residents Association will be submitting comments on this application but we need you to submit yours, for if we can stop this licence being awarded it will be a great step forward in stopping industrial waste coming to our area in its hundreds of thousands of tonnes each and every year. Whilst the branch has been incredibly busy with the recent GLA elections and the upcoming EU referendum, we still keep an eye on things in our respective wards. This has also been reported and the team have given me the reference number 5107232, advising me that it will be dealt with. The Council have advised that they have carried out the speed survey promised during the petition hearing and will get back to me. After consultation with Cllr Fyfe, he told me that this was carried out during a school holiday which makes me suspicious if we get a negative response. Will keep you advised. Having consulted with the road maintenance team, I have been advised that this has been scheduled for repair. However, with the movement of the slabs any such repair would likely break up within months and the real solution is a full resurface. Residents have advised me that the vibration caused by buses is causing cracks to the walls of their properties and I am unconvinced that a basic repair would do anything to mitigate it. 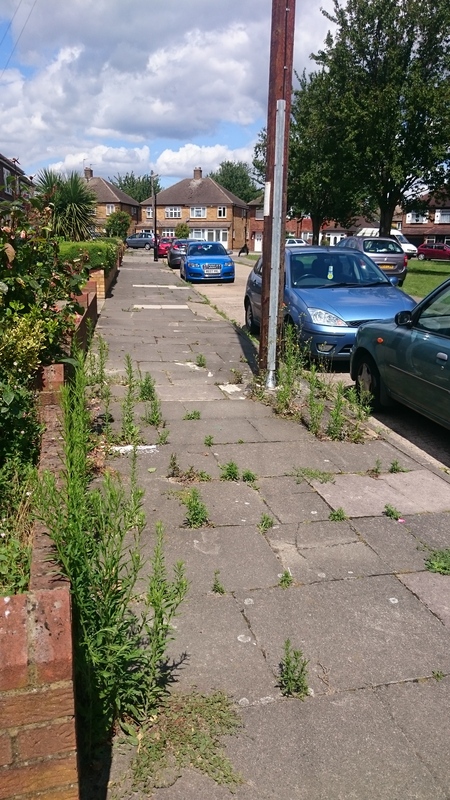 During the many leafleting sessions that UKIP Hillingdon carry out, our ward reps are encouraged to keep their eyes open for issues in their area including damaged roads, flytipping and overgrown and dangerous undergrowth. Back in late summer, I was out leafleting in Charville ward and noticed the terrible condition of the road surfaces in Langdale Drive. Some of the cracks and emerging potholes were deep enough to almost swallow a credit card (Pictured) and with Winter on the horizon and a recent history of flooding it was a concern that water would get in, freeze and break the whole surface open. I contacted the local Council maintenance team, who advised me that they would look in to the issue and then came back to say that the road had subsequently been put on the list for resurfacing. To advise the residents that this would be sorted out, the branch put out a leaflet in the area with the reference number for the job – The result was a number of phone calls thanking us but also asking if we would help to sort out a speeding problem on the road that had resulted in a number of damaged parked cars and near misses involving children travelling to the nearby School. We arranged a petition which we went door to door with and rapidly got 46 signatures from just under 100 homes, showing the depth of concern. This was submitted within a few days of completion. To the credit of the Council Officers, they arranged a meeting with Cabinet member for transport Cllr Keith Burrows last Wednesday (20th January) where myself and some local residents were asked to discuss the problem and give feedback. The upshot is that a traffic survey will now be carried out, with electronic boxes to be installed at 4 strategic points to measure volume and speed of traffic – Cllr Burrows will then advise residents of recommendations and ask for their view on the proposal. Working together as a community, we can get things done. UKIP ward reps in your area want to hear your concerns and will work with the local council officers and the current councillors to improve the area we live in – it is about making Hillingdon a better place, irrespective of political allegiance. If you have a pressing local problem where you live, let us know and we will be happy to help where possible. Working with you, we can get things done – imagine how much more we could achieve if, come the next local elections, you vote to put UKIP Councillors in to the Civic Centre? During a Council Planning Meeting on 17th December 2015, Powerday once again submitted an application to develop the site of the Old Coal Yard on Tavistock Road in to a waste recycling centre despite it being close to a major area of housing. If the application is successful, we will see Powerday lorries bringing 450,000 tonnes of industrial waste per year in to the heart of our community and further congestion on both Yiewsley and West Drayton High Streets as well as Swan Road. Alternatively, there are a number of petition forms in local shops on West Drayton High Street. Tomorrow (Saturday 22nd August) sees the first of the protests against the sell off of the Green belt at Hayes Park. The meeting point is at Mead House Lane (Off of Hayes End Road) at 1.30pm, with The Gazette in attendance. Why not pop down and show your support? I did’nt realise that you lived in Charville ward and that you are a representative there, just who do you represent?, if you look carefully I think you might just find that the ward has three elected Councillors and guess what, you are not one of them. This is the first response I have had from Cllr Oswell (left) to several issues that had been forwarded on to him (Although he may wish to check any future replies for punctuation and spelling) – I have had confirmed receipts of previous emails from both Cllr East (Lab) and Cllr Fyfe (Con). It is interesting too that the Deputy Leader of the Labour Group, supposedly the opposition to the ruling Conservative Council, has replied in a similar way to Council Leader Ray Puddifoot when responding to reports of issues in the ward. Maybe they don’t like the cosy Lab-Con duopoly being challenged by a party that is active and actually cares for the residents away from the political scene? To clarify, UKIP have ward representatives in place in key areas who stood in last years elections – That is the purpose of an opposition party, to assist any local people who come to us with problems they have not been able to resolve via other avenues and to hold those in position to account. Labour are not the ruling party on Hillingdon Council as they did not get elected to power, by your rationale would they then not be entitled to mount an opposition to things they disagree with and assist local residents with problems? In my own case, I was a Charville resident for a number of years and not only met my wife in the ward but also ran a local business selling and repairing mobile phones where I became a recognisable face in the area. This is why I still receive regular contact from residents when they have an issue – Many have relayed to me that they do not know who their ward councillors are and trust me to follow up on their problems, hence why I copy you and Cllr’s Fyfe and East in to complaints so you can investigate. The fact that the first contact I have had from you is to speak to me like an unruly schoolchild rather than address their concerns does not cover you in glory. I would suggest that if you are as active as you say then those residents would be aware of who you are and would be contacting you directly rather than approaching UKIP Hillingdon to get things sorted out. Having said that, I have solid links to Charville and have never stood for election outside of the ward in local elections and the constituency in Parliamentaries because I identify with the community and the area. Your own record shows that you were a councillor in Pinkwell, a candidate for Yiewsley in last year’s local elections (Where you failed to get elected in one of Labour’s main targets) and then the candidate for Charville in the by-election where you scraped in by 21 votes (Which many Tories blame myself and UKIP for). This suggests a history of switching areas to try and win a seat rather than working with your local community for their betterment – Especially as your home address is in a solid Conservative area yet you have never stood for election there. Sometimes, having the right logo on the ballot paper can win you a seat irrespective of your own personal merits but in those cases many get found out in the long run. Still, there are a number of Labour ‘safe seats’ you have not stood for yet so I am sure you will be OK. I have no problems working with councillors from other parties when it is in the interests of the residents and have put our activists out in support of campaigns run by your local MP when UKIP feel that it is in the public good (eg Lake Farm, Heathrow Third Runway) – I will be attending the meeting tomorrow night regarding the green belt issue at Hayes Park and have publicly advertised it via our website and social media despite it being organised by John McDonnell MP as I believe it is the right thing to do. The well being of the people of Hayes comes first irrespective of party political allegiance – It may be worth you contemplating that when sending such replies to emails sent in good faith in future. Update – 28th July – The Council maintenance team have logged the report and have advised that they will be taking action. Reference for Meadow View Road is S/R 4531347, for Blacklands Drive S/R 4531337. No need for thanks, Cllr Oswell. Local green belt land at Hayes Park (Also known as Home Farm) in Charville ward is being advertised for sale on Right Move. UKIP Hillingdon members stood alongside Hayes MP John McDonnell and local councillors from both Labour and the Conservatives to oppose construction on the land in 2011 and the plan was dropped. It would appear that there is the possibility of this coming back on to the agenda in light of the listing – We would urge all concerned residents to attend a meeting convened by John McDonnell on Tuesday night (28th July) starting at 7pm, venue is Charville Community Centre, Bury Avenue, Hayes, UB4 8LF. This land is part of our ‘Green lung’ and we cannot afford to lose it. Together we can defeat this threat again. Yesterday, I returned to the Charville Lane estate to follow up on some issues I had reported to the council last month. I am glad to report that the overgrown skip on Romney Road that I reported that was concerning a pensioner has been removed and that the housing repairs that were requested for a young lady on Hoppner Road have been scheduled – Well done to the Council team for that. However, the petition that was submitted to clear up the rubbish and flytipping in the alleys and garage spaces around Hoppner Road, Romney Road and Raeburn Road does not appear to have been acted on and I have not had a further reply after the initial acknowledgement letter of receipt from the Democratic Services team. Local residents who signed the petition were concerned that their children could be harmed by some of the items left there and as a result are not allowing them outside to play in what they consider a dangerous environment. I have also received further reports of poor street maintenance in the area, as evidenced when out leafleting in Blacklands Drive and Meadow View Road. 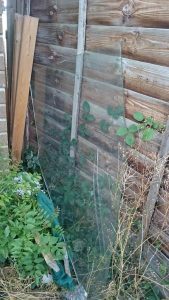 As can be seen in the photo above, nothing has been done to keep weed growth in check and it is now coming through and damaging the paving slabs. Treating the weed growth is relatively inexpensive but by allowing it to run wild like this the damage created to the pathways will require expensive repair unless something is done fairly quickly. It also makes the area look unsightly and run down which is not good for residents morale and makes people less likely to try and keep our streets tidy. I had a number of pleasant conversations on my way around the ward but am increasingly concerned that local residents are not seeing much of their elected councillors. Some did not know who they were, but I was also advised by those that did that the only information they receive on a regular basis apart from the Hillingdon People magazine (Which they were not impressed by) is from UKIP and that I am the only regular face who turns up to discuss their issues. You have to ask – What are they doing for their £10.5k allowances each year? Are you concerned about maintenance of your roads and footpaths? If so. please contact me via the website and we will bring this to the attention of our local Council. Yesterday I highlighted a number of issues in Charville ward in Hayes surrounding potholes, flytipping and lack of grasscutting on this website. Because of the council website constantly flagging up ‘error’ when reported, I wrote the post and as stated sent a link through to relevant people by email to address the problems. Let me explain to you how an elected Council works. The borough is divided into geographical wards each represented by three councillors, with the exception of Harefield where there are two. Every four years in each ward the local residents elect the councillors that they wish to represent them. When residents have an issue in their ward to contact one of the councillors who will take up the matter on their behalf. I have no idea where you live but you can find the councillors for your ward on the council website. As you failed to get elected as a councillor the Council as an organisation will only react to you as a resident. Cllr Markham is the Hertage Champion not the Environment Champion. PS Please feel free to put this response on your website to avoid any further confusion. Thanks for your reply, I have posted it on our website to ‘avoid confusion’ as you requested. I am well aware of how the council system works, having now stood in a local election and by-election in Charville ward. 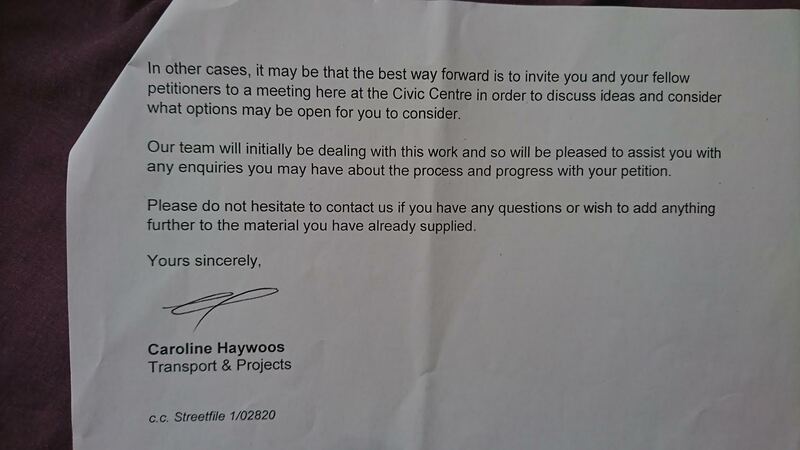 This is why the ward councillors were copied in on the email so they could follow it up – Cllr East has acknowledged receipt of the email already. However, as leader of the council you are no doubt aware that your website has a section where individuals can report incidences of flytipping directly. I have attempted to use this service on several occasions and it has yet to work properly – Local residents have contacted me because they too have been unable to report these issues by what is an approved channel, hence my email copying in the councillors. As leader of the council I thought it prudent to send an email to you so that you could investigate and hopefully rectify why this service is not working on the site, or highlight it to the person responsible for IT. Having run a successful business before, I was always appreciative of my customers bringing any customer service issues to my attention if they had not been able to deal with them via channels available. If it is directly down to the councillors to rectify all such issues, then why are Hillingdon Council requesting people to volunteer as ‘Street Champions’ to highlight such problems in their area? Indeed, why do you have sections on the Council website for problem reporting if this is solely the job of the Councillors? I am also aware of a case in West Drayton surrounding traffic issues on Swan Road where two of the elected councillors brought residents concerns to the attention of the council, backed up by a large petition (Reported on this week in the local Gazette newspaper). Not only did you reject this out of hand, but the residents cannot get an answer as to why and your replies by email to them personally have not only failed to illuminate the reasons but in some cases have been extremely curt. If you suggest that residents put all issues through their councillors, then why are you then not listening via the channel you yourself have advised both them and myself to use? Furthermore, UKIP Hillingdon are getting an increasing number of enquiries for help regarding street cleanliness, housing issues and planning. This would suggest (As backed up by street surveys we have carried out) that residents are unaware of who their councillors are, despite the council spending over £100k per year in self promotion via the internet and the ‘Hillingdon People’ magazine. This would also suggest that you, as leader of the council, need to review your strategy on how you get information out so that local people can contact those you say are responsible for dealing with the issues rather than having to come through us to get a resolution. Having said that, we have two Labour Councillors in Charville ward and no Labour councillors are ever referred to in Hillingdon People so it is hardly surprising that residents have a very low recognition of those elected to represent them. Even when they do, as per the example in West Drayton, you simply seem to ignore them if they are not of your own political stripe. Outside of election times, I am as you say merely a resident as I did not get elected. Interestingly enough, your candidate for Charville, Mary O’Connor, also failed to get elected in the two contests last year yet is now listed on LBH website as the ‘Champion’ for health, wellbeing and disabilities. One has to ask how someone who has been rejected by the people at the last two attempts can be in a position of influence (No doubt with the associated allowances and expenses) with no mandate, yet you appear irritated by the local chairman of a major political party bringing resident’s issues to your attention? Can you explain the difference between myself as a resident and Ms O’Connor as a resident? This either suggests that you know where I live or were knowingly putting out a false statement of knowledge on election material? 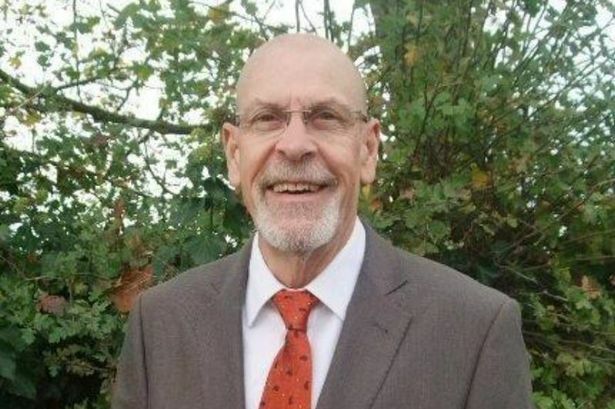 As for Cllr Markham, he is listed on the council website as being the ‘Heritage and Environment champion’ – I would say that local green areas come under environment, wouldn’t you? If not, then again I would suggest that you speak with your IT people to update the site to make it more accurate and help to direct residents to the relevant ‘champion’ for their particular issues. Summing up, can I thank you again for pointing out that future issues should go through the councillors. Whether that will get the desired results when on a number of occasions they are blatantly ignored by yourself despite major residents support remains to be seen. To this end, UKIP Hillingdon will continue to work with local councillors from all parties and local residents via any means available to us to try and improve our area, including petitions and where necessary peaceful demonstration. Your continued use of a failed ‘Town Hall Pravda*’ to constantly promote your political aims whilst not providing clear contact points, disdain for the concerns of local people and your appointment of fellow party members to positions of power when they have been rejected at the ballot box by the electorate are all pretty clear by your recent actions. I know some political leaders (Especially in the EU) like to operate that way, but expected better of the leader of Hillingdon council. Still, if the ‘tache fits…. * ‘Town Hall Pravda’ – A phrase used by former Conservative Communities minister Eric Pickles MP to describe local council magazines such as Hillingdon People. Government guidelines state that such publications should only be put out a maximum of 4 times per year – Hillingdon Council put out 6 editions per year.